Bedford Heights, Ohio (February 20, 2017) – Brand Castle, LLC, manufacturer of interactive baking kits and gingerbread house kits, announced today it has acquired Sisters’ Gourmet Company, distinguished creator of layered baking mixes in mason jars. The acquisition, which continues Brand Castle’s expansion mode, will leverage the company’s brand equity and expertise in creating distinctive food gift items to encourage overall growth. Brand Castle, who is searching for additional acquisitions, plans to retain the Sisters’ Gourmet Company brand and grow the product line. In addition to expanding through distribution and SKUs, Brand Castle plans to cross sell its own gourmet mixes to the Sisters’ Gourmet customers base. Sisters’ Gourmet Company owners, Rob & Lisa Sorensen, will remain with the company and serve as consultants through a transition period. The Sorensen’s success story is well-known in the specialty food industry. Sisters’ Gourmet has made baking easy and convenient since 1995 when sisters Lisa and Suzy began to offer their delicious, simple to prepare one-bowl gourmet recipes. Along the way, the company has grown from offering two varieties in Mason jars to offering a wide array of decadent gourmet desserts across several different product lines in numerous packaging options. Much pride is taken in knowing each mix is made by hand in the USA. For more information please contact Kate Price, 216.292.7700, or mail@brandcastle.com. 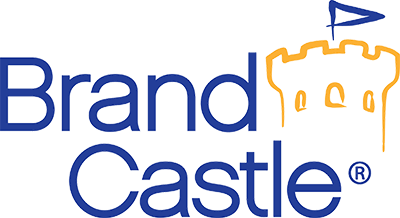 Brand Castle is located in Bedford Heights, Ohio and was founded in 2005 by Jimmy Zeilinger and his wife Andrea. Brand Castle is the leader in interactive baking kits for consumers of all ages and offers an extensive selection of over 300 interactive baking kits sold under the brand names of Crafty Cooking Kits® Aspen Spice® and In the Mix® and other numerous licensed brands such as Disney, Kellogg’s, Marvel, DreamWorks, Snyder’s and Motts. Brand Castle interactive baking kits can be purchased in a wide range of distribution channels including, grocery, drug, craft, mass, club and specialty – at well-known retailers including Bed Bath and Beyond, Christmas Tree Shops, JoAnn Fabrics, Toys R Us, Cost Plus World Market, Walmart, Walgreens to name a few. Brand Castle prides itself on providing consumers with high-quality, great tasting baking kits that create lasting memories shared between family and friends.